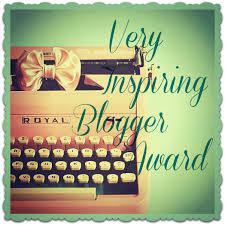 Thank you Saakshi Kale, my blogger friend from Mumbai, India, for nominating me for the Very Inspiring Blogger Award. It would be worth your visit to her site, randommusings, http://meandthe30dayproject.wordpress.com. Her own award acceptance blog post and answers to questions includes incredible photos, one in particular with her name written in math! This is the second Very Inspiring Blogger Award that I’ve received. However, I promised Saakshi Kale that I would accept this one with a condition that I could “play with the rules.” I made up my own rules a few awards back to continue support and promotion of fellow blogger “nominators.” It’s a huge honor to receive them, and time-consuming to accept. Others have done this, and no awards police have darkened our computer screens, yet! Play With The Rules Zone – 2. No list of rules. 3. No facts about myself (already in the first award). 4. No nominees! 1. I’ve thanked and linked the amazing person who nominated me. 5. I proudly displayed the award logo on my blog post, and I already follow the blogger who nominated me! I accepted this Very Inspiring Blogger Award to be an Inspiring Blogger and send out Inspiration to all of my blog followers. Some are successful authors, some are exceptional writers, some are amazing photographers, and some are incredible poets. Most of you know that I love to include specialized galleries in blog posts. No exception here! What better way to be an Inspiring Blogger! Keeping the Blogosphere a Beautiful Place! This entry was posted in Awards, My Blog, My Entries and tagged Be Inspired to do Whatever You Do, Inspiration Gallery, Inspiring Blogger, Keeping the Blogosphere a Beautiful Place, Play with the rules, Very Inspiring Blogger Award. Bookmark the permalink. You are, most definitely, inspiring! Congrats, Christine. Have a wonderful Wednesday. Christine, you are my lucky charm! I have an economics exam in half an hour (it’s 8:20am over here) and this post has enough inspiration for a whole army of stressed out students! Thanks a lot, I loved this! How could I not do well, given the source of my inspiration 😀 it was pretty good, yes! Congratulations on the award, and you do live up to it :).